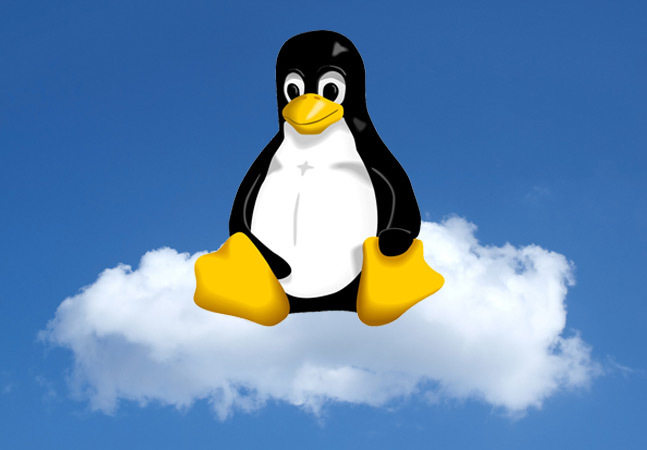 Red Hat's brand-new, major Linux OS enterprise release is all about the cloud. The company is positioning Red Hat Enterprise Linux 7 (RHEL 7) as going beyond an old-fashioned commodity OS to be instead a next-generation "catalyst for enterprise innovation." It's a redefined tool to help companies transition to a converged datacenter encompassing bare-metal servers, X as a Service offerings and virtual machines (VMs) -- with a focus on open hybrid cloud implementations. In case there's any doubt about the cloud emphasis, Red Hat used the term 23 times in its announcement yesterday. "Answering the heterogeneous realities of modern enterprise IT, RHEL 7 offers a cohesive, unified foundation that enables customers to balance modern demands while reaping the benefits of computing innovation, like Linux Containers and Big Data, across physical systems, virtual machines and the cloud -- the open hybrid cloud," the company said. New features in the OS -- practically a ubiquitous standard in Fortune 500 datacenters -- include "enhanced application development, delivery, portability and isolation through Linux Containers, including Docker, across physical, virtual, and cloud deployments, as well as development, test, and production environments," the company said. XFS is the new default file system, with the capability to scale volumes to 500TB. Ext4, the previous default -- now an option -- had been limited to 16TB file systems, which in the new release has been increased to 50TB. Also included are tools for application runtimes and development, delivery and troubleshooting. The new release is designed to coexist in heterogeneous environments, as exemplified by cross-realm trust that allows secure access from users on Microsoft Active Directory across Windows and Linux domains. A new boot loader and redesigned graphical installer. The kernel patching utility Technology Preview, which allows users to patch the kernel without rebooting. Innovative infrastructure components such as systemd, a standard for modernizing the management of processes, services, security and other resources. The Docker environment, which allows users to deploy an application as a lightweight and portable container. Built-in performance profiles, tuning and instrumentation for optimized performance and scalability. The OpenLMI project, a common infrastructure for the management of Linux systems. Red Hat Software Collections, which provides a set of dynamic programming languages, database servers and related software. Enhanced application isolation and security enacted through containerization to protect against both unintentional interference and malicious attacks. A new RHEL edition to be released later -- Atomic Host -- was announced during a virtual keynote presentation (registration required to view on-demand) by Red Hat executive Jim Totton. "It's a lightweight version of the same Red Hat Enterprise Linux operating system, tuned to run in container environments," he said. "So this is a lightweight version of RHEL, but it's the same RHEL as we've been talking about." Totton also announced Red Hat Enterprise virtualization product technology, where a hypervisor is engineered as part of the RHEL kernel. He said it can provide the virtual datacenter fabric for hosting RHEL as a guest. Totten also highlighted the Red Hat Enterprise Linux OpenStack platform "for really deploying the flexible and agile private cloud and public cloud type of environments." RHEL 7 got a thumbs-up from Forrester Research analyst Richard Fichera, who wrote that it "continues the progress of the Linux community toward an OS that is fully capable of replacing proprietary RISC/Unix for the vast majority of enterprise workloads. It is apparent, both from the details on RHEL 7 and from perusing the documentation on other distribution providers, that Linux has continued to mature nicely as both a foundation for large scale-out clouds, as well as a strong contender for the kind of enterprise workloads that previously were only comfortable on either RISC/Unix systems or large Microsoft Server systems. In effect, Linux has continued its maturation to the point where its feature set and scalability begin to look like and feel like a top-tier Unix." Oh, it also works in that cloud thing.